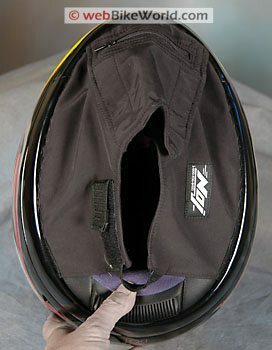 Anyone else have a GT-Air helmet? I've had one for a few months now. 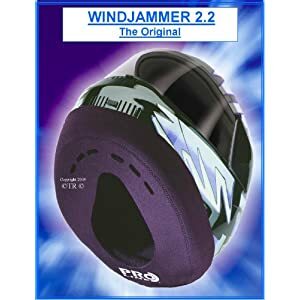 The reviews (both professional and customer) say that it's a very quiet helmet. I would agree, except there is this very low pitched rumble that is actually very loud, I can barely hear the engine over it. This starts at around 30mph and just gets louder as I increase speed. I do wear earplugs. The noise seems to be generated by air deflecting off my upper chest and into the bottom of the helmet. When I block this air, there is actually very little wind noise, and it's more like I would expect from the reviews. I do have the chin curtain in. Does anyone else have this issue? If so, did you do anything to correct it? I feel like I need to get a thick piece of cloth and somehow attach it to where the chin curtain is. I like everything else about the helmet and, from what I can tell, if it wasn't from this noise due to under-the-chin turbulence it would be almost a perfect helmet for me. Last edited by Dutch; March 2, 2014 at 06:28 PM..
Sell it and get an Arai. I bought one also and am very unimpressed. I've worn Arai's for years and if there is one thing that they are not, its quiet. Supposedly their new Defiant line does a lot to improve hind noise and buffeting. "I like my motorcycles like my women....foreign, lightweight and naked"
Last edited by Gmoney675; March 3, 2014 at 12:27 PM.. This is with the vents closed btw. Open or closed it doesn't make a difference. The noise is purely generated by air deflecting off my upper chest and going into the bottom of the helmet. I agree with the earplug statement.